Twinkelbel - Gifts in Eindhoven. 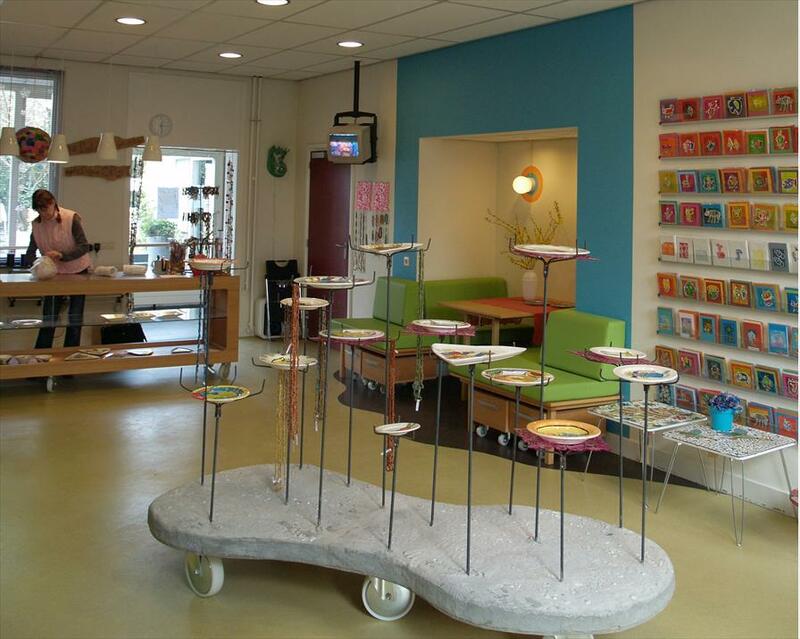 One of the colorful specialty stores which make the quartier latin of Eindhoven so lively. 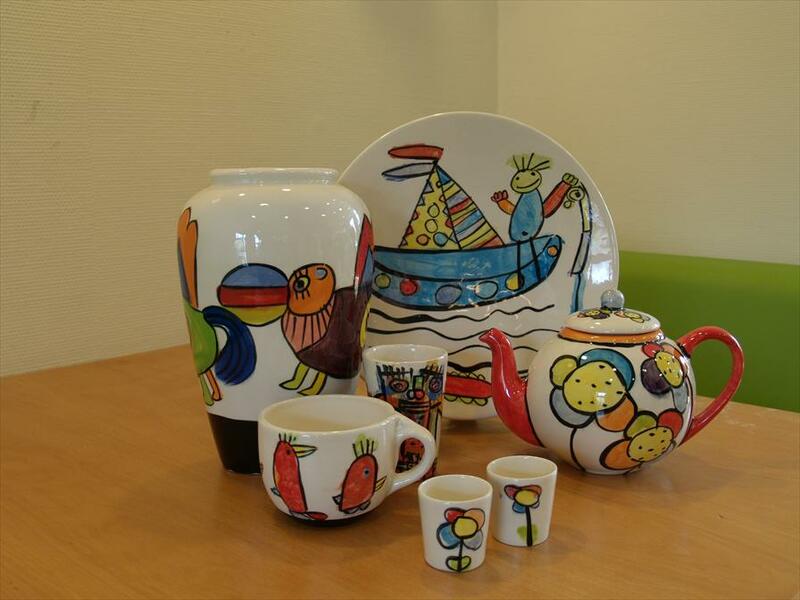 Have a look here for the unique hand painted pottery, the beautiful collection of candles, the unique cards and other gift items that have their own, unique character. Gifts with a personal touch mean a lot more than mass produced goods, seems to be Twinkelbel’s motto. The store distinguishes itself with hard work, warmth and accessibility. Many regulars let themselves be surprised time and again. The colorful, pleasant ambiance invites one to take a look. Browse around at will and be inspired. Twinkelbel is part of mother company Lunetzorg, an organization that works for people with mental handicaps that compromise their ability to live, work and entertain themselves. The store is driven partly by handicapped staff. With much enthusiasm they will custom paint pottery for you.